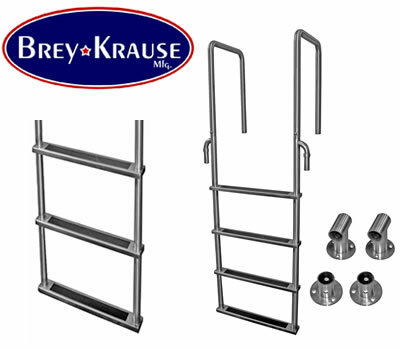 Find the best prices on dock steps & ladders for fresh and salt water applications. 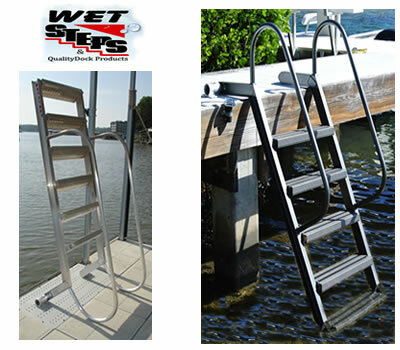 Featuring quality hand-built marine dock ladders from top manufacturers like A1A Dock Products, JIF Marine, Wet Steps, Aqua-Stairs and others. 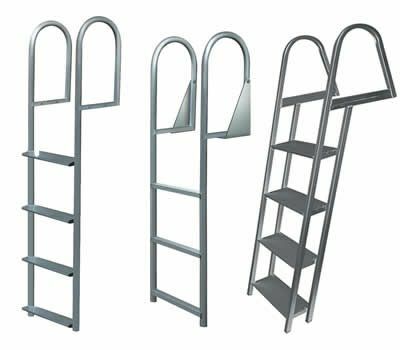 We offer affordable standard aluminum dock ladders, anodized dock ladders (for added corrosion protection and resistance from electrolysis) and stainless steel dock ladders that will stand the test of time. 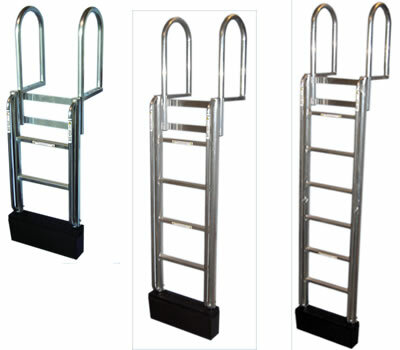 Choose from many makes and models; most available in 3, 4, 5, 6 and 7 steps. 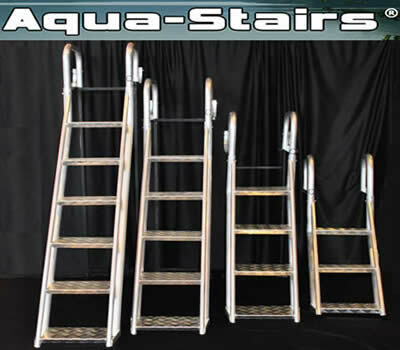 Find the largest selection only at DockGear.com. 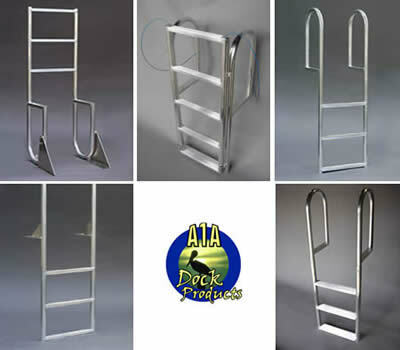 Browse these categories under "Dock Steps & Ladders"